I noticed them circling overhead a couple of days ago. I stood outside until they passed on to the next farm. So far, I’ve not lost any of my chickens to them. I pulled up in the driveway bottom last night though, and one was sitting in the grass near the water meter. I think it was waiting on a mouse maybe. 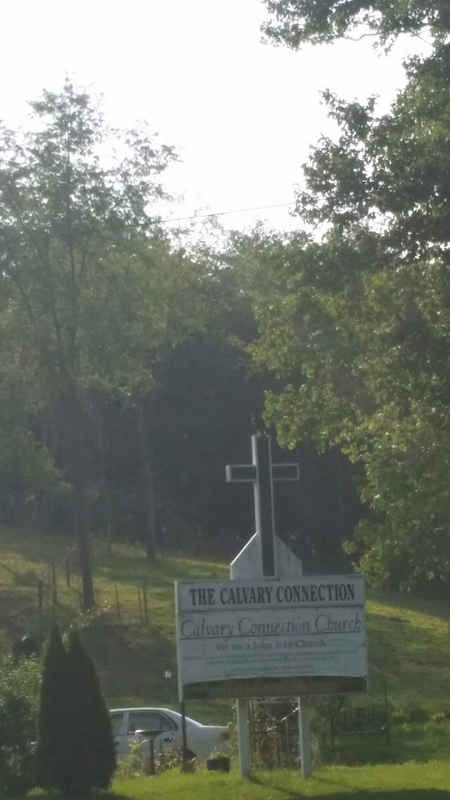 It flew up on top of the church sign. I tried, but this is as good a shot as I could get with my phone camera. 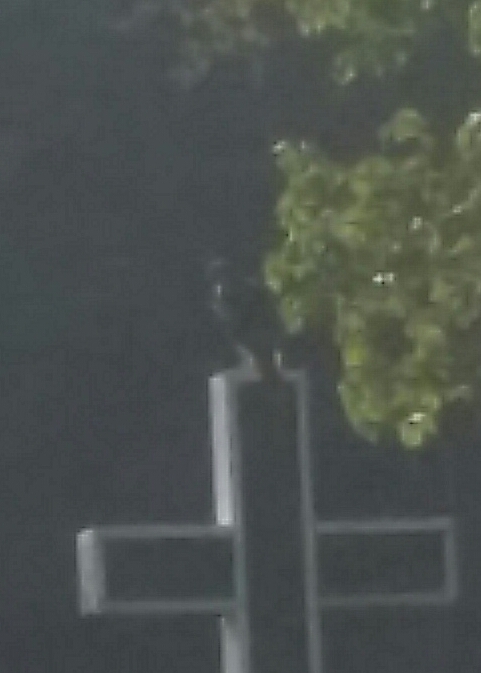 It’s right on top of the cross…watching me with an evil eye. Now I’m researching online for proven ways to naturally keep hawks away from chickens. I beat the raccoons. I WILL beat the hawks, too!!! We had hawks circling the barnyard today. I immediately went out and counted heads. Thankfully, all were accounted for!